ZZZs don't always come easy for children still learning their ABCs. Accordingly, a research team at the University of Nebraska-Lincoln is studying the developmental implications of toddlers' sleep habits -- and the factors that might determine whether they sleep like babies. Victoria Molfese, chancellor's professor of child, youth and family studies, will lead a longitudinal study of sleep among 200 children from the age of 2 1/2 through 3 1/2. Using parental diaries and actigraphs -- wristwatch-like devices that monitor sleep patterns via motor activity -- the researchers will measure the quantity, quality and variability of toddlers' sleep at six-month intervals. The five-year study is funded by the National Institutes of Health and headed by Indiana University, with $1.4 million supporting collaborative research at UNL and its Center for Brain, Biology and Behavior. UNL's objective is to identify links between these sleep habits and toddlers' social adjustment in home, child-care and preschool settings. The research team will also examine whether sleep affects how toddlers regulate their cognition and behavior, specifically their ability to direct attention, maintain focus and follow instructions. According to Molfese, research findings have shown that developing these skills in early childhood charts a course for future social and academic success. However, she emphasized the need for greater understanding of sleep's role in this transformative stage. "Since toddlers are establishing their sleep habits and developing better self-regulation, toddlerhood is a critical period to study sleep," Molfese said. "We know from studies of adults, and the growing body of research on school-age children, that sleep quality, quantity and variability are related to daytime functioning and psychological adjustment. Less is known about sleep in young children. We are interested in understanding the development of toddlers' naturally occurring sleep habits." 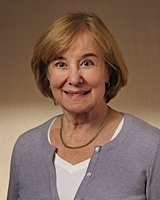 Molfese's research partners include Dennis Molfese, a Mildred Francis Thompson professor of psychology, and Kathy Rudasill, associate professor of educational psychology. The researchers are recruiting study participants from Lincoln. Parents interested in participating can contact Victoria Molfese by email. Because sleep habits develop in the home, Molfese and her colleagues will also investigate the potential impacts of domestic factors such as parenting practices and family stress on toddlers' sleep. In addition to gauging these dynamics through observations and self-reports, the study will break new ground by assessing the possible effects of bedtime routines. The researchers also said they believe the study will help establish more functional measurements and definitions of sleeping issues. They will attempt to show that sleeping too little, waking in the night and varying sleep schedules can have measurably distinct impacts on toddlers' behaviors. "Studying sleep quality and quantity using clear definitions and measures will enable the results of our studies to be compared across labs," Molfese said, "and lead to more accurate information on sleep in young children." Molfese said she hopes that the study, which also includes researchers from the University of California, Berkeley, and the University of Virginia, will eventually help caretakers and practitioners identify the sources and symptoms of early childhood sleep problems. "If our own findings fit our predictions, we believe that more complete information will be available on how sleep deficits affect toddlers' social and cognitive development," she said. "These findings may provide practical information that can be used by parents and child development professionals -- such as pediatricians, child psychologists and family mental health counselors -- in addressing ways to establish good sleep habits for young children."